The Library is many times a place of serendipitous discovery. 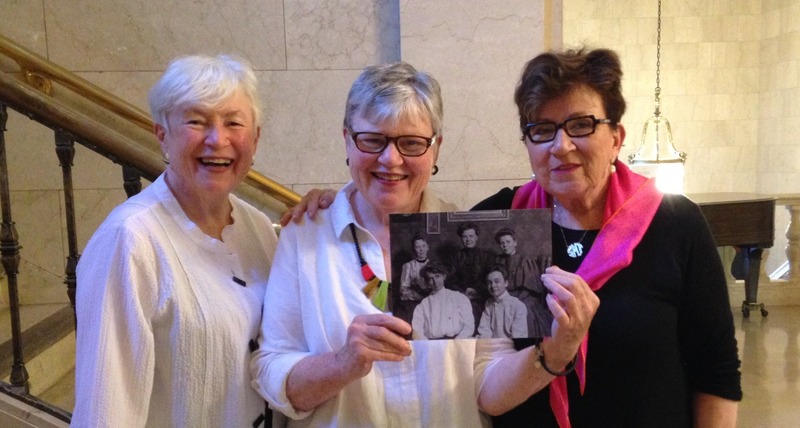 When three sisters visited Cleveland Public Library recently, they had no idea they’d come face to face with their own ancestor. 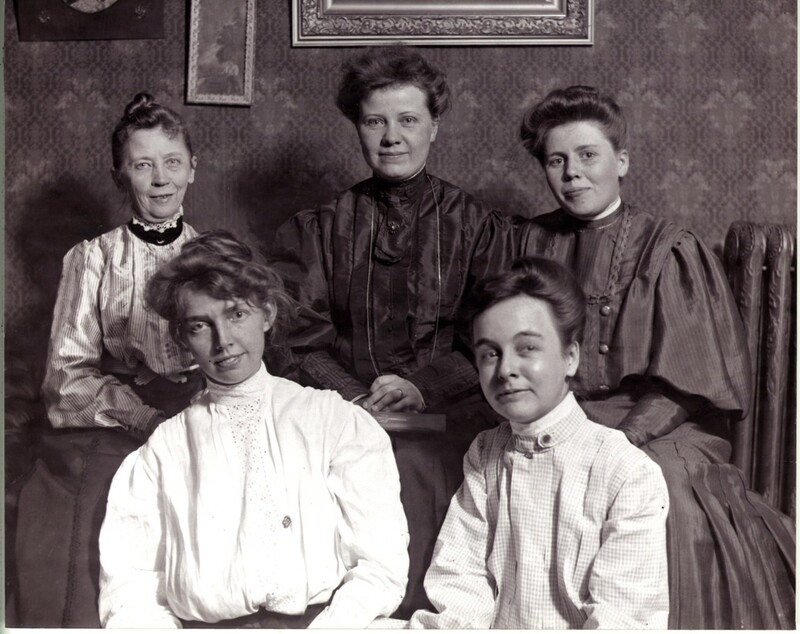 As the women browsed in Special Collections, they came across a photograph display illustrating the Library’s history and recognized their aunt, Mary Thompson Donlan, in a photo of five female librarians. (In the photo, Mary is seated in the upper right corner.) Not only did these sisters identify their aunt, but they helped Library staff uncover a bit of history in the process. Mary Gertrude Thompson began as a student page at Miles Park Branch in 1903 in the old Newburgh Town Hall (demolished 1904). 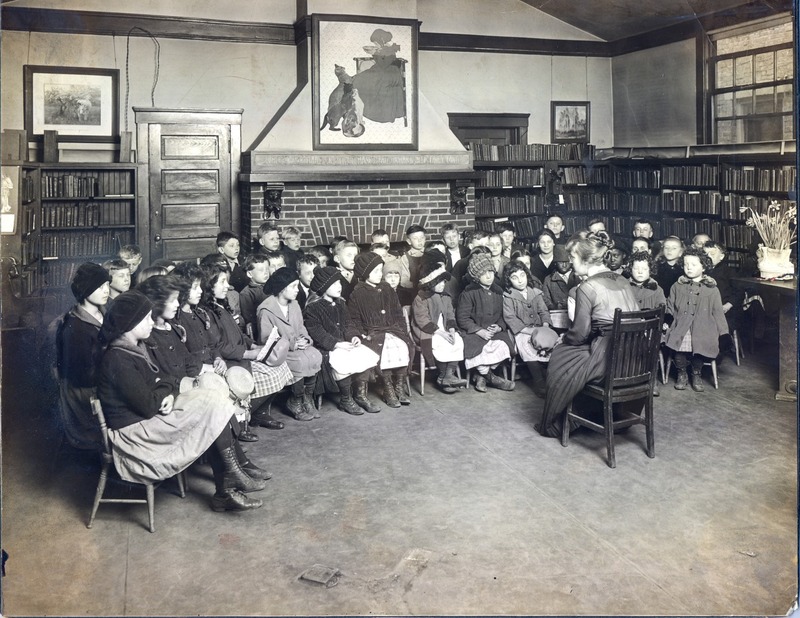 The Miles Park Branch staff was listed in the 1903 annual report as: Charlotte A. Buss, Branch librarian, Ruth K. Field, Jennie T. Beavis, Martha Mills, one student page (Mary), two pages, and one janitor. It’s possible that some of these employees are pictured in the photograph. 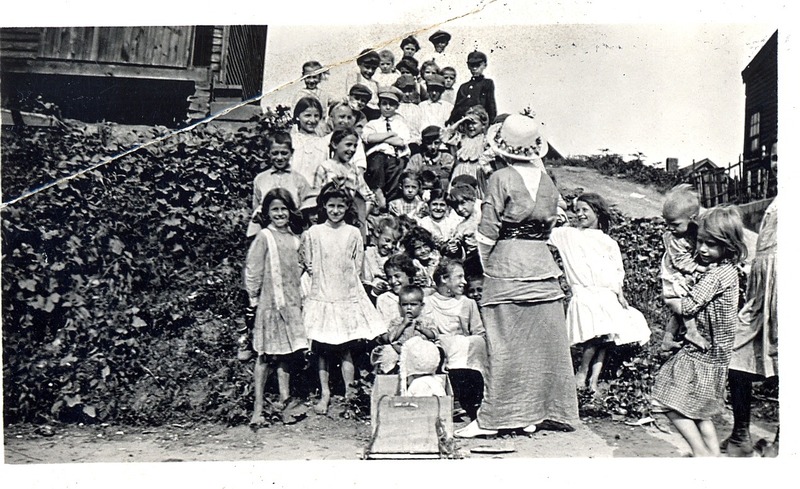 Mary was a member of the training class 1903-04. By 1906, she had enrolled in library school at Western Reserve University. She took a leave of absence from January to September 1914 to work at the Los Angeles Public Library to gain experience. Mary returned to Cleveland Public Library following her time in Los Angeles. She resigned in 1915. The sisters—three of eight sisters total in their family—who discovered Mary’s photo are pictured above: Francine Thompson Andrews, Margaret Thompson McCaskey, and Sheila Thompson Mahon. 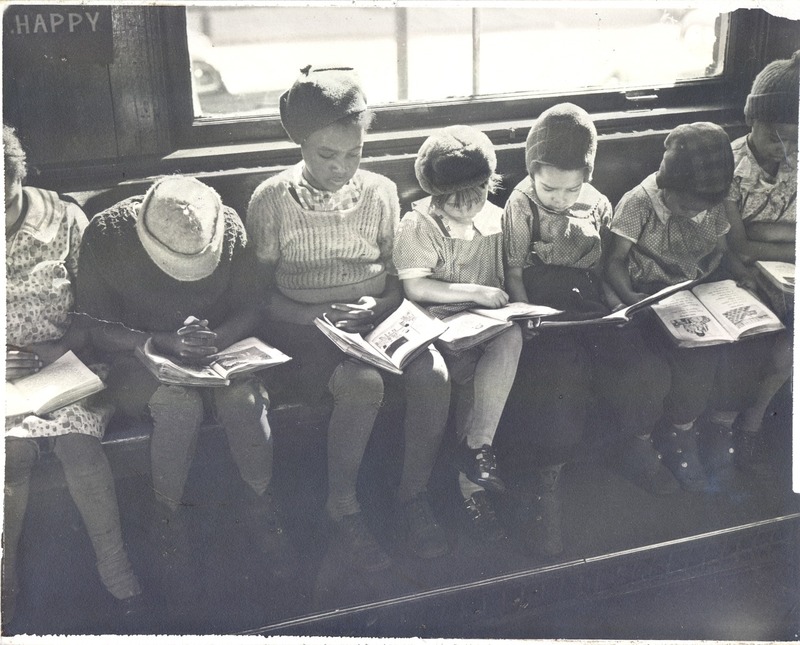 Of of the eight Thompson sisters, three became librarians, which just goes to show that the library profession is clearly in their blood. Today’s libraries offer so much more than books. Cleveland Public Library patrons can take computer classes, use 3D printers and scanners, obtain employment resources or legal aid services, attend cultural events, enjoy fine art, participate in community discussions, and so much more. But at the heart of our work, we continue to nurture a love of books and literature. The simple act of finding a quiet space to read a book has been and always will be a part of public libraries. 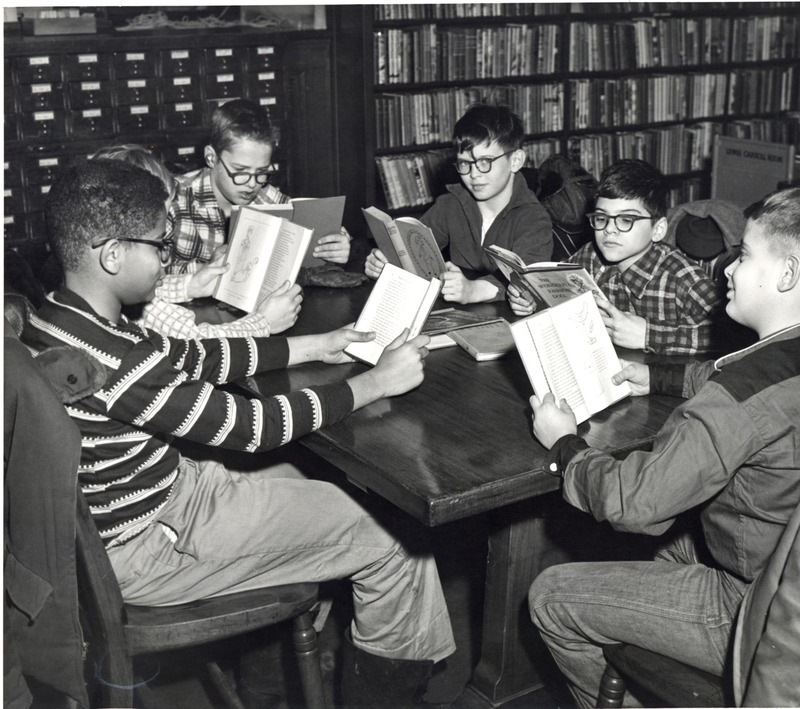 Fostering that love of reading—especially among children—is ingrained in our past, our present, and our future. We Believe in the Power of Good Books!